Water is a vulnerable and finite resource which is essential in our lives. Managing water efficiently is therefore vital to protect the environment, and ultimately, for humanity itself. For this reason the European Union approved The water framework directive (WFD). This directive establishes a common response to the management of water bodies. Its principle objective is to ensure the quality and quantity of hydraulic ecosystems with the application of common management strategies. Amongst other things, this includes the development of technical guides and fostering social and institutional participation in the decision making for policies relating to water. An exchange of experiences concerning the management of the water cycle between the different regions of south-east Europe. An emphasis is to be given to local organisations and the participation of citizens (activity GT1). The identification and diffusion of European, regional and local best practices in the management of water and rivers (activity GT2). Development of innovative and relevant practices , known as Experiences of Reference which are outstanding actions transferable to other municipals and regions in south-west Europe (activity GT3). The Creation and practical application of a Toolbox which incorporates a series of tools and methodologies for the design, evaluation and classification of water and river system management projects (activity GT3). The creation of a network dedicated to the sustainable management of water: a cluster of organisations of SUD’EAU2 (activity GT5). SUD’EAU 2 (November 2012 – December 2014) is a capitalization project of the project Sud’eau (April 2009 – March 2011). 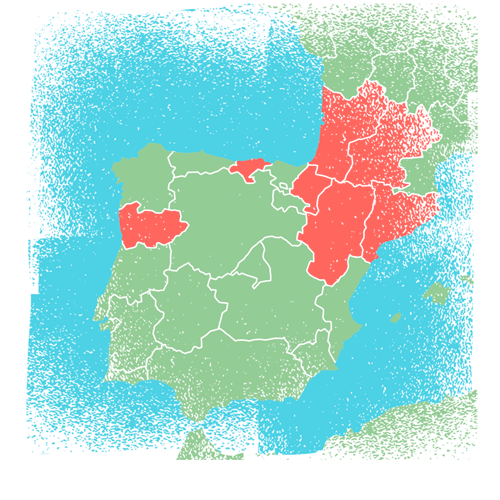 Both projects are part of the inter-territorial cooperation program SUDOE, the current programme has a budget of 1.395.420 € and is 75% co-funded by the European ERDF fund (European regional development fund).